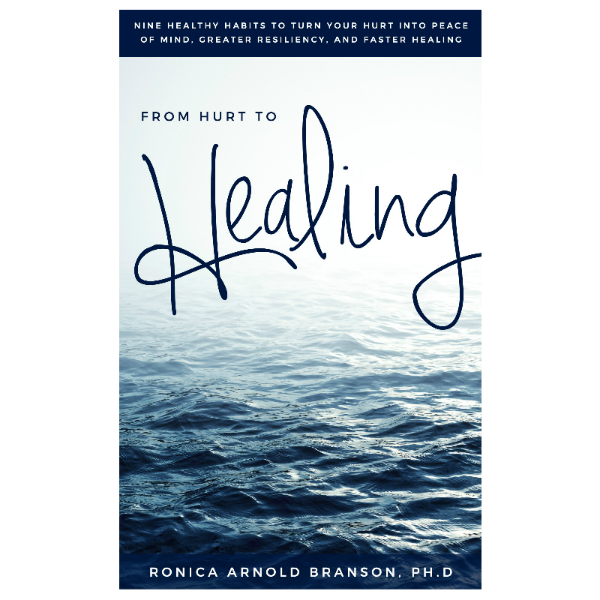 Healing the Heart Retreat – Ronica Arnold Branson, Ph.D.
What if you could use even the most devastating events in your life as opportunities for grace and transformation?. Imagine for a moment that you have the Power to Transform into a Happier, More Hopeful and Healthier You! After years of hurt, setbacks, and pain are you ready to make your comeback and heal your heart so that you can move into the life you were destined to live? Do you need time to revitalize, rejuvenate and restore yourself? If you answered YES, this retreat is for you! Solutions Counseling, Coaching & Consulting Presents an Afternoon of Healing with Dr. Ronica. Join us on May 5, 2018 at 11:00 a.m. The retreat will take place at 368 Highland Colony Parkway, Ridgeland, MS. For more information or to register, call 601.622.1393 or email hello@drronica.com. Promote resiliency through empowerment techniques and strategies. 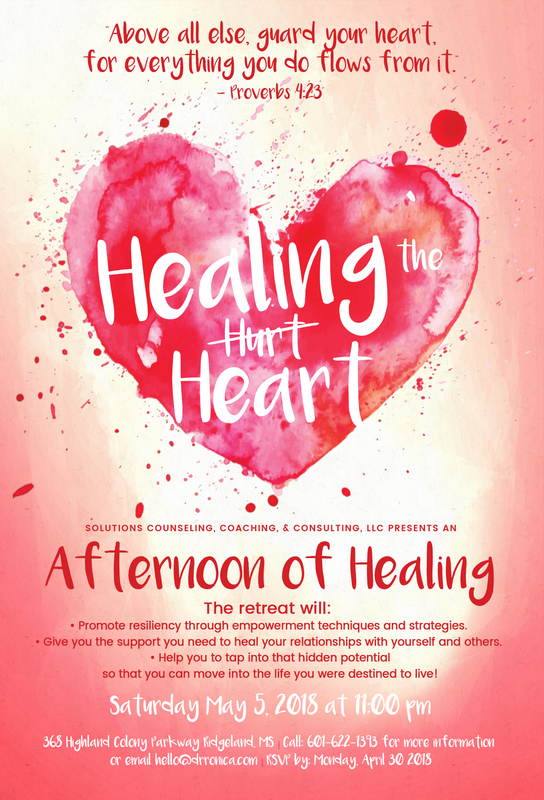 Give you the support you need to heal your relationships with yourself and others. Help you tap into that hidden potential so that you can move into the life your were destined to live! 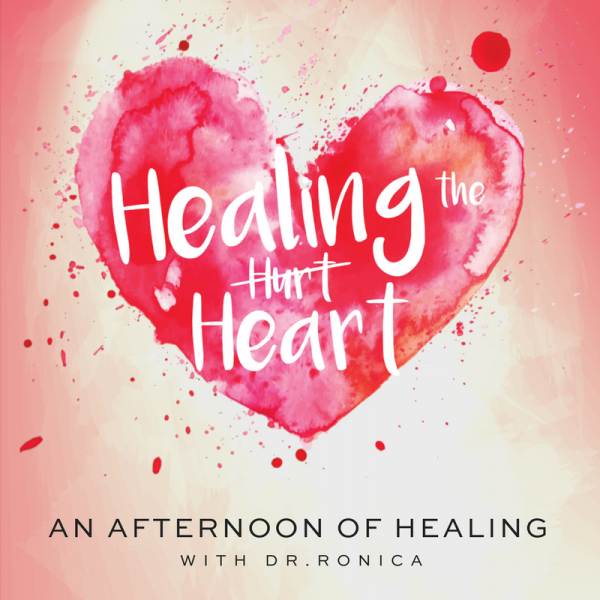 Guests will enjoy refreshments, a fun canvas painting project, a copy of From Hurt to Healing by Ronica Arnold Branson, and much more! Space is limited so RSVP and get your spot today! Guests will enjoy refreshments, a fun canvas painting project, a copy of From Hurt to Healing by Ronica Arnold Branson, and much more! Space is limited to get your spot today!